THE Department of Trade and Industry (DTI) in Negros Occidental has trained at least 318 Negrense overseas Filipino workers (OFWs) on entrepreneurship and business planning this year. These OFWs were participants of the trainings initiated by the agency since January this year. 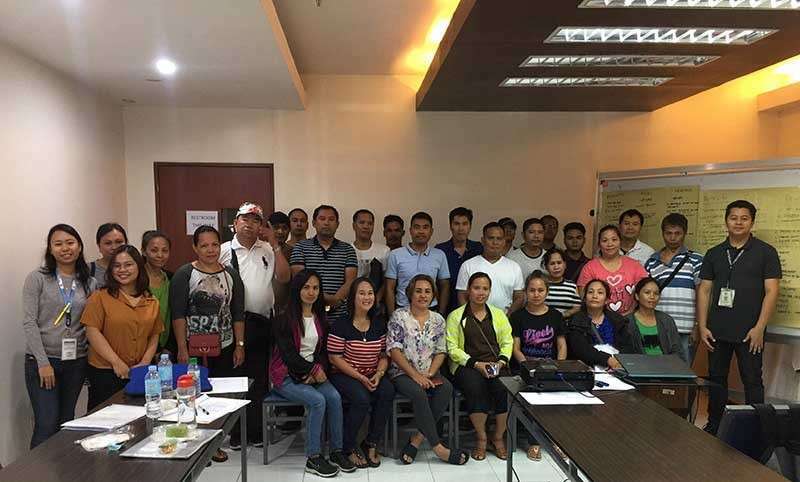 Twenty-eight OFWs participated in the latest training held at the Negros First Negosyo Center in Bacolod City Friday, March 8.
Business counselors Gabriel Advincula and Mia Aujero were the resource speakers. DTI-Negros Occidental said that the activity regularly conducted every other week is also benefiting potential and existing micro, small and medium enterprises (MSMEs) in the province. The Negosyo Center-Bacolod lodged at the DTI-Negros Occidental Office holds the training every Tuesday while the Negros First Negosyo Center conducts it every Friday. This is implemented through the DTI's Entrepreneurship Development Program for OFWS in partnership with the Overseas Worker Welfare Administration. “Through this seminar, we aim to equip the participants with knowledge on generating business ideas and guide them for proper business operation,” DTI-Negros Occidental stated. This is also to promote entrepreneurial mindset among Negrenses, especially “balikbayans” and potential MSMEs, it added.